Two nights ago, I went to hear a lecture at the local Jewish Book Fair. The good news is that before that the other night, I had I had never been repulsed by a writer that I had taken time to hear. Oh well, there is always a first. After leaving the book fair, I wanted to take a shower so that I could cleanse myself from all the scummy energy and then find a way to connect with the world around me. I am growing so tired of hatred, lies, and the stark realities of the world. Instead of always being focused on the tough stuff, I want to take all my favorite people, my imaginary friends, and perhaps a few friends of friends, and go to a sandbox and simply play. Old fashioned sandcastles have never looked so good. I am not alone in wanting a play date. 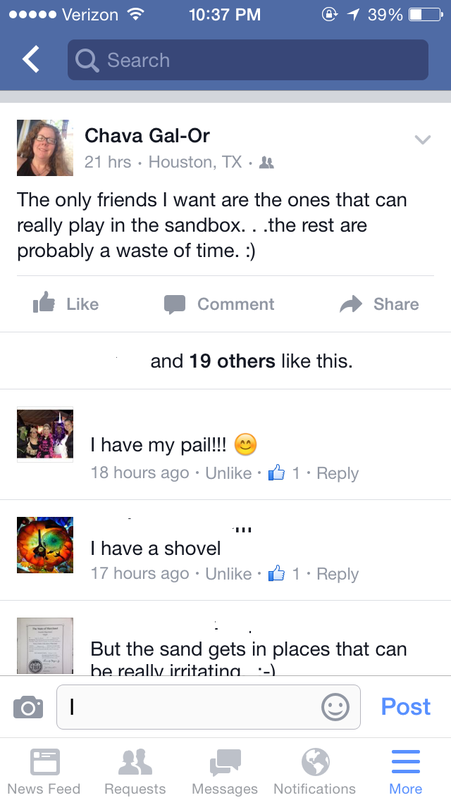 On Thursday night, I posted on Facebook, “The only friends I want are the ones that can really play in the sandbox. . . . the rest are probably a waste of time. :) What followed that posting makes my heart sing. My friends offered their shovels, their buckets, the uncomfortable realities of sand, and a strong desire to play with me. Twenty people liked the photo in just a couple hours and a few left comments over the following day. 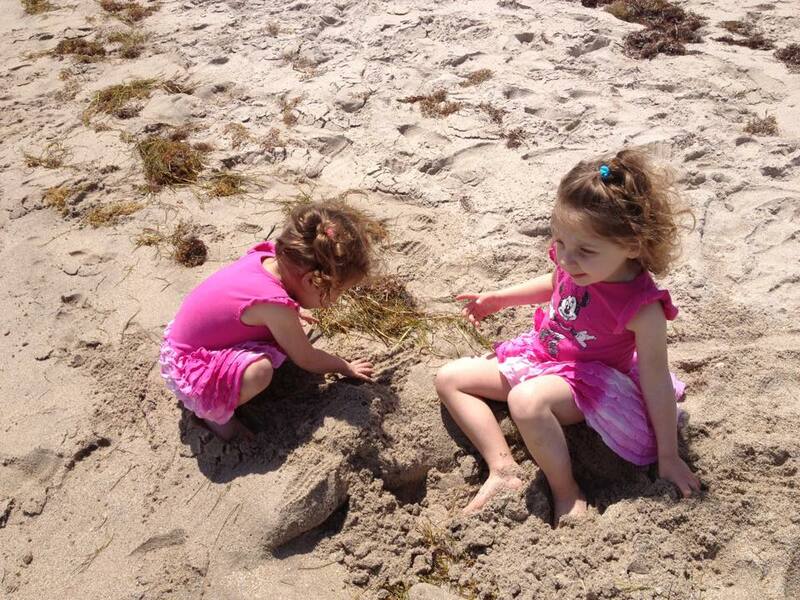 We all are looking to play in the sandbox whether it be for real or metaphorically. If more of us took time to play together, our world would be a lot brighter. Taking time to play and create strips away some of the barriers that come when all you do is focus on the differences or the challenges that exist. 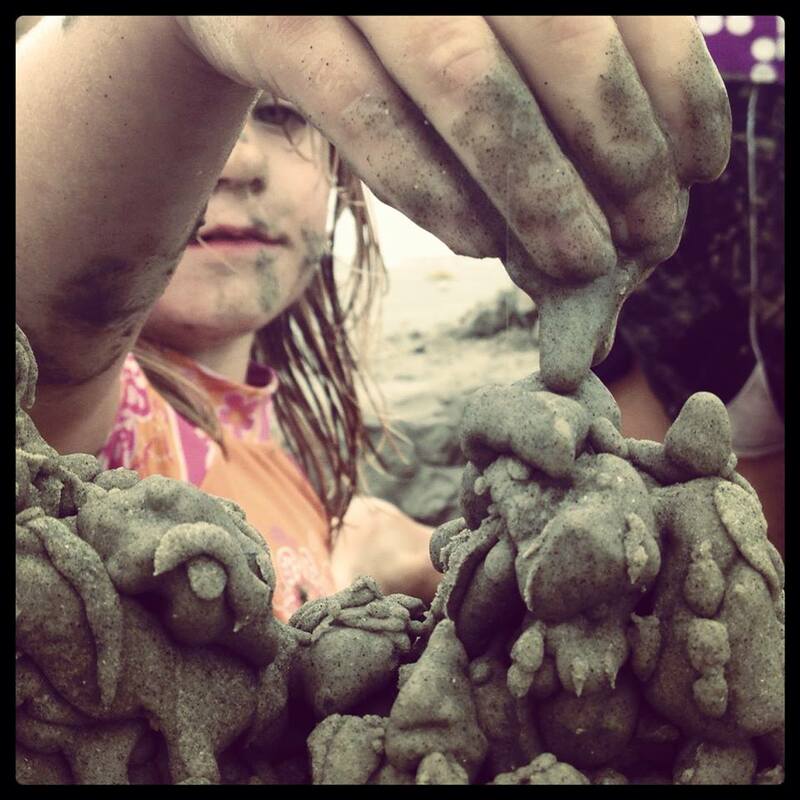 Whether we cook together, finger-paint together, or make sandcastles together, playing will always allow for our hearts to emerge and giggles to emanate into the world. Once that happens, we can really make a difference for good. Who is going to join me in the sandbox?